Recent years have seen the North of England establish its reputation for printed matter, with exhibitions, magazine shops and publication launches popping up across the region, from Liverpool to Hull. 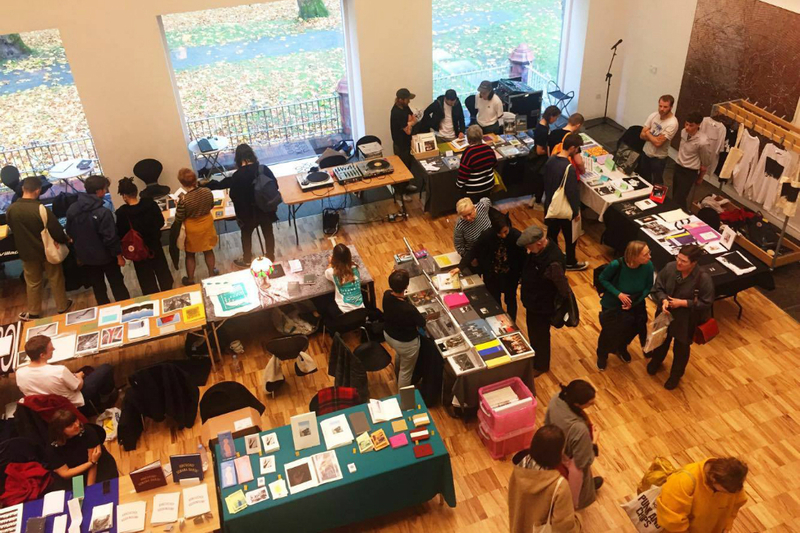 One event getting everyone talking is Bound Art Book Fair, whose second annual edition takes place this weekend at the Whitworth Gallery in Manchester. Founded by Robert Parkinson – Soup Kitchen DJ and co-founder of Preston Is My Paris photography zine – and Joe Torr – co-founder of Village Books, Leeds – Bound came out of a deep sense of dissatisfaction with the opportunities open to artists and printers in the North. Artists who, noticed Parkinson and Torr, always had to travel down to London for key art fairs, and then head back again – North-‘bound’, geddit? – on a pricey train ticket. Earlier this year, Parkinson and Torr were joined by Chateau International founder Lillian Wilkie, who’s helped extend Bound’s scope to include an ambitious public programme. I spoke to them to hear more about how the fair came together, the problems they found along the way, and what everyone can expect from this year’s theme: the printed press as a tool for activism. The Double Negative: How did you get to know each other, and where did the idea for the book fair begin? Parkinson: I met Joe through Village Books and, well, we were just getting annoyed about there being no decent book fairs around the North and thought “we’ll have to do it ourselves rather than complain”. So last year, we pooled our resources. It was a kind of stab in the dark, I guess – but it worked. Wilkie: So, I got to know Rob through shared interests in photography, social engagement, and politics. I have a background mainly in bookselling, I was the deputy director of Claire de Rouen for three years. I’ve got a long-term relationship with Printed Matter in New York, and I’ve just come from New York working for the New York Art Book Fair. So, in a long-winded way, I already had connections with Joe and Rob, and then they invited me early this year to come on board. A few years ago, there weren’t that many breaks for independent publishers, artists, and booksellers in the North. What did you hope the fair would achieve? Parkinson: Me and Joe quite regularly met up to go to the various events or openings in Manchester, but everything we knew and liked were all from London people. We knew that the North had some really good artists that felt that they didn’t have anywhere to show their works. Torr: Some of the small independent publishers, like Tide Press, for example, don’t have the financial capability to go down to London. They’re never going to make the money back from going to Offprint to show their stuff, so Bound’s a place for them. Parkinson: It’s a way to tick a few boxes I thought were missing around here. Perhaps something like this could produce a little bit of money to fund new artists. It was a test as much as anything, we were like, “why isn’t it here? Is there a reason? Are we gonna do this and is there going to be only a hundred people turn up?” So we’re building from that. Do you see Bound as being in competition with London-based fairs? Torr: It’s a case of just saying not everything needs to be there. Not everyone needs to go down to London. You can be in the North of England and you can make connections and be successful. I think people are realising that a lot quicker than they used to; a lot of people are moving up or they’re staying, because it’s not financially worthwhile being down there, in some instances. What can visitors expect to see this year? Wilkie: I was quite keen to bring in more women. When you think about photobooks and the photography scene it can seem quite full of bros, and all of us were keen to diversify the output. Thinking about the public programme, we all agreed that politics and activism would be something to foreground, and it’s really nice to be able to have female artists and photographers be at the front of that. 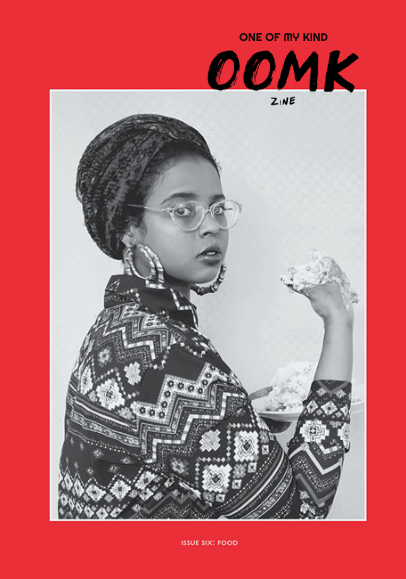 For instance, Keep It Complex is a primarily female and non-binary collective, and we have Sofia Niazi who’s coming up from OOMK zine too (pictured, above). 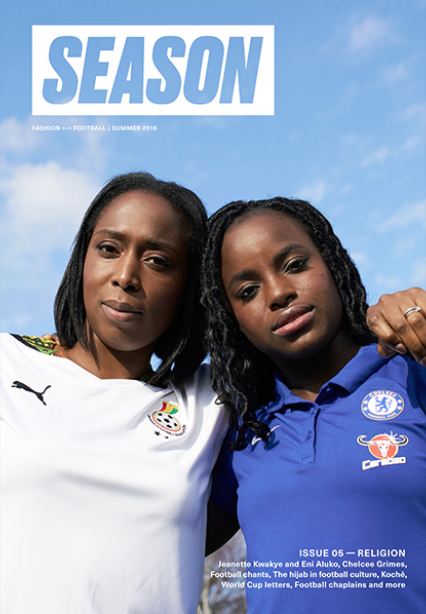 Torr: Season (pictured, below), who you got involved as well, are just such a great magazine. Wilkie: Yeah, so I’m really into football and I thought it’d be a great opportunity to partner up with the National Football Museum in Manchester, so they’re looking at the history of women’s football zines. From a personal perspective, it’s an opportunity for me to reconnect and discover more activity in the North, but also to bring up some lesser-known people. So, we have those bigger names; MACK, Loose Joints, and Bemojake; but also people like Janina Sabaliauskaite and Jade Sweeting coming over from Newcastle. They’ve been doing loads of print work on lesbian semiotics with Phyllis Christopher, who was one of the key photographic artists in the San Francisco lesbian and gay scene in the 1980-90s. Again, it’s building on the conversations we’ve already had, the interests we all share in terms of political activism, and how we talk about press as a political and educational tool. OOMK will be talking about running a community riso press in Newham, which is one of the poorest if not the poorest borough in London. OOMK have 100% successfully embedded themselves in that community, responded to their needs, and provided something which is educational and experiential, and I’ve been continually impressed by what they do. 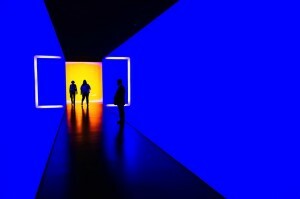 Arts programming has a tendency to be quite insular, this is an opportunity for it to be expanded. Torr: You need to get people down as well. Not everyone’s going to think they’re interested in publications, but if you get them down there with this enticing programme, they might start to pick up what’s going on, and then it’ll snowball from there. At Village, we do events to bring people in but also create a community. 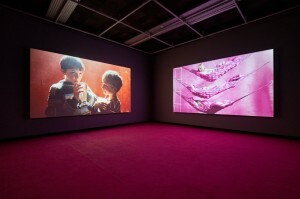 Parkinson: We’ve basically been given the whole gallery to do what we want. We’re going to have a traditional presentation space, but behind that we’ll have an installation of sculptures by Sam Blackwood coinciding with the release of his new publication. We’re also working with the Working Class Movement Library in Salford who’ve commissioned a new piece by the artist Aaron Guy. 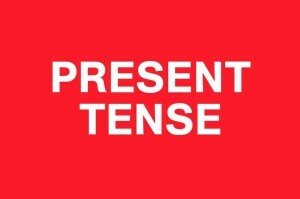 He’s actually going to produce an exhibition that’ll be shown later in the Whitworth – a series of standalone works – [as well as] an artist talk, hijack the Instagram, and do a performance at the end of the fair. So it’s not just a fair; it’s a whole set of art projects and discussions to bring people together from across the UK? Parkinson: Yeah, we’ve already done little bits in between fairs: an event at Rare Mags recently about Clarion House; a bike ride from Manchester to Stockport; poetry performances and a screening of a short film. We also did a stage at Salford with Sounds from the Other City [festival], where we paired visual artists with bands who produced screen prints as the day went on. And what have you learned through it all? Torr: We should have had Lillian from the start! Parkinson: We’re really lucky that we found someone who’s really on it and has the same ideas as us. I guess the core thing we’ve learned was that this sort of thing is wanted up here. Last year, we got an extra 2000 people through the doors on top of the normal gallery footfall. But also, and I’m not sure if it’s a direct reaction or a coincidence, this weekend, there’s two other book fairs launching in Manchester, Strange Perfume, and Over Here Zine Fest. What are Bound’s – and your – future plans? Parkinson: We’re going to publishing our first book through this unbelievably exciting project at the Whitworth. But I can’t say more just yet. And we’d like to do interim events too. Torr: Also to move it about a little bit, do events in other Northern cities as well – not just Manchester and not just book fairs.